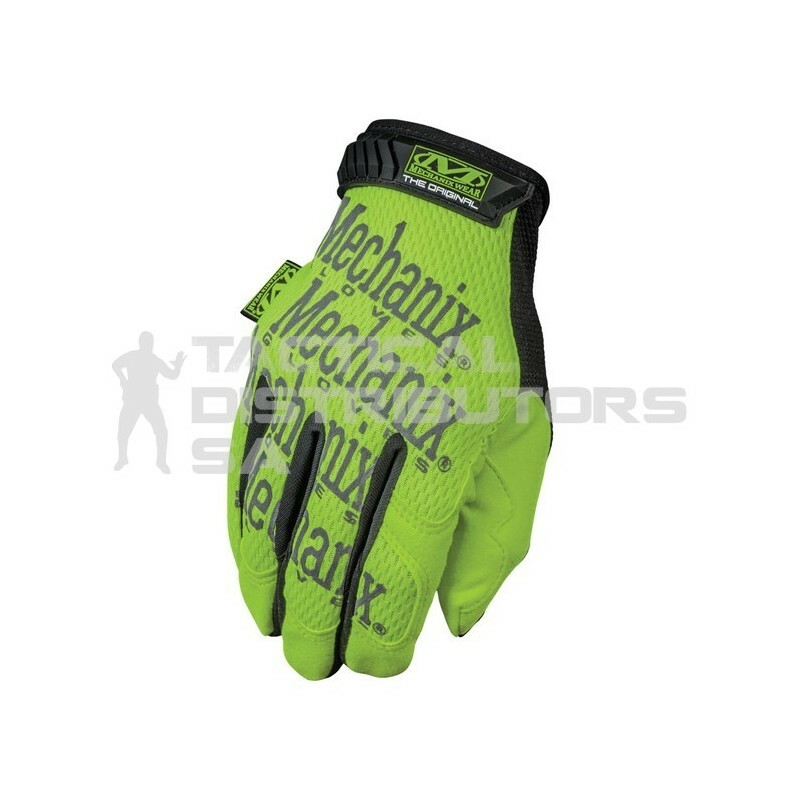 The Mechanix Original Safety Glove is made using ANSI-107 compliant reflective and fluorescent materials to make you more conspicuous in hazardous working environments. High-visibility TrekDry material helps keep your hands cool and comfortable, while hi-viz reflective print provides eye-catching luminance. Visible hands are safe hands so they used high-visibility AX Suede palm material for added visual awareness in hazardous environments. Features ANSI-107 compliant high-visibility materials, Reinforced thumb and index finger, AX Suede high-visibility synthetic palm, Thermal Plastic Rubber hook and loop closure provides a secure fit, Machine washable.